Delivery can take up to 2 weeks from confirmation of order. However there is also a Fast Track delivery option which provides delivery within 3 working days. Q. Can I order more than one item at a time? Yes you can! We have now added a basket function so that multiple planners can be paid for in a single transaction. Simply click 'Add to Basket' once you have finished designing each planner, then contiue through the checkout process as normal. Yes. You can save your design as an image and upload it to your project, then drag it into a picture box and size accordingly. Q. Do you offer a page a day format? 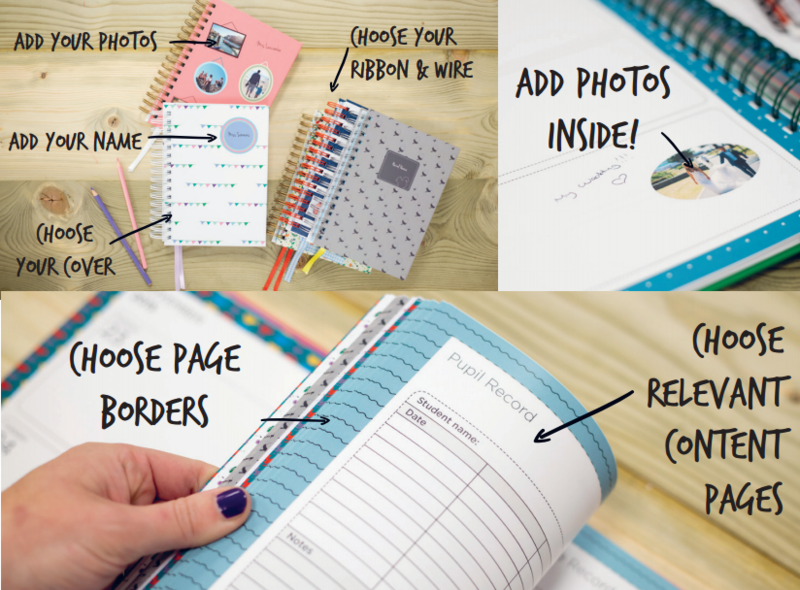 Only in our teacher planner products, but you will not be able to alter these pages like the week-to-view products. 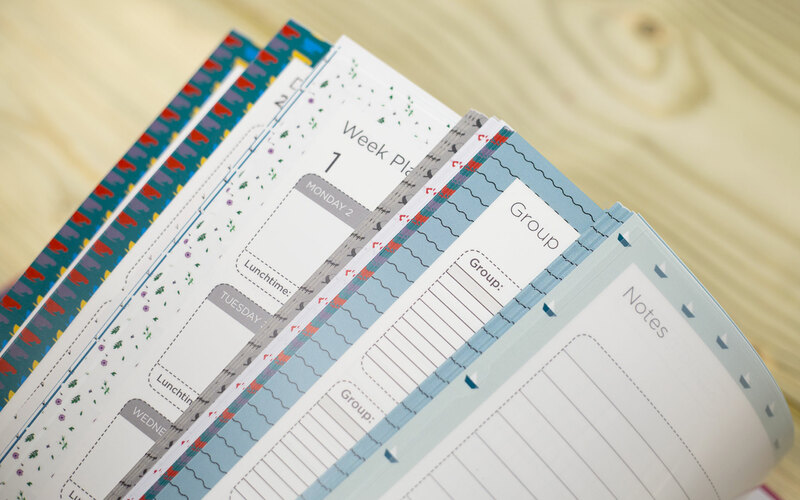 You can design your cover and have our standard teacher planner pages which are in a page a day format. Q. My picture has a warning about low resolution, what does this mean? We have pre-set this warning to appear if the image is below 200 dpi. We can still print these images and most people are happy with the quality. However, this is not recommended for best photo quality, so this warning gives the customer the chance to assess whether it will be acceptable to them or to use a higher resolution image. Q. Will the instruction text on my planner be printed? No, these will not be printed. If you want to remove them you can delete them. Q. 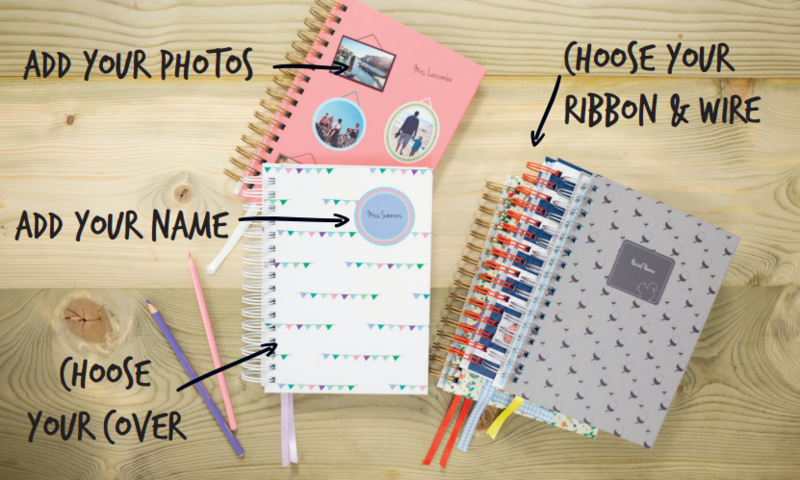 Can I choose what colour wire and ribbon I have for my planner? Yes you can at no extra cost, these decisions are made just before you order and pay. Yes we do, you can purchase these from our main site here. Yes we do, we deliver to Belgium, Germany, Finland, France, Gibraltar, Ireland, Luxembourg, Netherlands, Poland, Portugal, Austria, Sweden, Switzerland, Denmark, Cyprus, Czech Republic, Spain, Italy, USA and Canada. See delivery information within product information for prices. Q. What if my question isn’t answered here? Please contact us on 01626 352655 or email customorders@pirongs.co.uk and we will be happy to help.